WHILE Mnesarchus, the father of Pythagoras, was in the city of Delphi on matters pertaining to his business as a merchant, he and his wife, Parthenis, decided to consult the oracle of Delphi as to whether the Fates were favorable for their return voyage to Syria. When the Pythoness (prophetess of Apollo) seated herself on the golden tripod over the yawning vent of the oracle, she did not answer the question they had asked, but told Mnesarchus that his wife was then with child and would give birth to a son who was destined to surpass all men in beauty and wisdom, and who throughout the course of his life would contribute much to the benefit of mankind. Mnesarchus was so deeply impressed by the prophecy that he changed his wife's name to Pythasis, in honor of the Pythian priestess. When the child was born at Sidon in Phœnicia, it was--as the oracle had said--a son. Mnesarchus and Pythasis named the child Pythagoras, for they believed that he had been predestined by the oracle. Many strange legends have been preserved concerning the birth of Pythagoras. Some maintained that he was no mortal man: that he was one of the gods who had taken a human body to enable him to come into the world and instruct the human race. 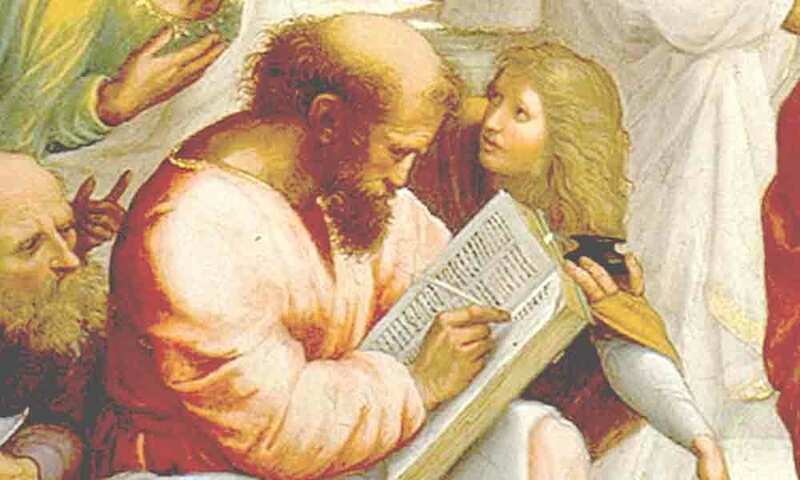 Pythagoras was one of the many sages and saviors of antiquity for whom an immaculate conception is asserted. 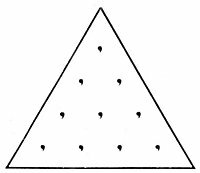 In his Anacalypsis, Godfrey Higgins writes: "The first striking circumstance in which the history of Pythagoras agrees with the history of Jesus is, that they were natives of nearly the same country; the former being born at Sidon, the latter at Bethlehem, both in Syria. The father of Pythagoras, as well as the father of Jesus, was prophetically informed that his wife should bring forth a son, who should be a benefactor to mankind. They were both born when their mothers were from home on journeys, Joseph and his wife having gone up to Bethlehem to be taxed, and the father of Pythagoras having travelled from Samos, his residence, to Sidon, about his mercantile concerns. Pythais [Pythasis], the mother of Pythagoras, had a connexion with an Apolloniacal spectre, or ghost, of the God Apollo, or God Sol, (of course this must have been a holy ghost, and here we have the Holy Ghost) which afterward appeared to her husband, and told him that he must have no connexion with his wife during her pregnancy--a story evidently the same as that relating to Joseph and Mary. 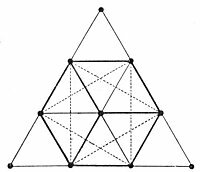 From these peculiar circumstances, Pythagoras was known by the same title as Jesus, namely, the son of God; and was supposed by the multitude to be under the influence of Divine inspiration." < Pythagoras taught that friendship was the truest and nearest perfect of all relationships. He declared that in Nature there was a friendship of all for all; of ods for men; of doctrines one for another; of the soul for the body; of the rational part for the irrational part; of philosophy for its theory; of men for one another; of countrymen for one another; that friendship also existed between strangers, between a man and his wife, his children, and his servants. All bonds without friendship were shackles, and there was no virtue in their maintenance. Pythagoras believed that relationships were essentially mental rather than physical, and that a stranger of sympathetic intellect was closer to him than a blood relation whose viewpoint was at variance with his own. Pythagoras defined knowledge as the fruitage of mental accumulation. He believed that it would be obtained in many ways, but principally through observation. Wisdom was the understanding of the source or cause of all things, and this could be secured only by raising the intellect to a point where it intuitively cognized the invisible manifesting outwardly through the visible, and thus became capable of bringing itself en rapport with the spirit of things rather than with their forms. 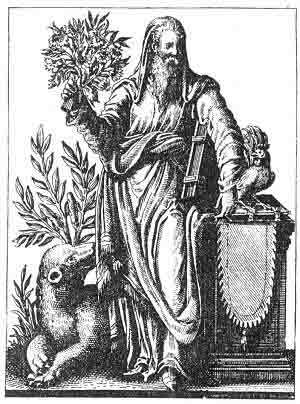 The ultimate source that wisdom could cognize was the Monad, the mysterious permanent atom of the Pythagoreans.